+$Learn how to make your photos even better. +$Regardless of your skill level, you’ll find plenty of useful information in the Digital Photography with Adobe Bundle. 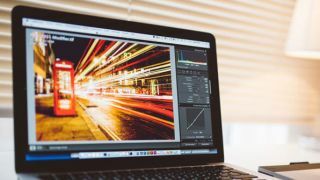 With courses that teach you the way around Adobe’s powerful photo-editing tools like Photoshop and Lightroom, plus an introduction to graphic design, you'll learn how to make your photos shine with post production flair. There are 10 valuable lessons to work through that will be sure to teach you something new, and you'll even get a degree to show what you've accomplished! +$This bundle usually retails for $1,580, but you can get the Digital Photography with Adobe Bundle for+$98% off the retail price+$! That’s huge savings on a bundle that will up your digital photography game, so grab this deal today.